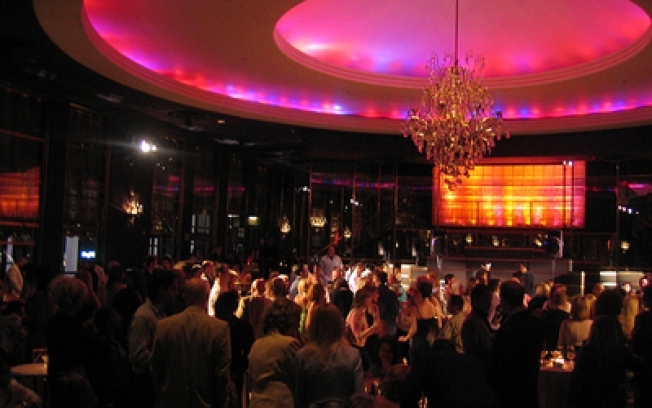 The Rainbow Room's restaurant will close its doors January 12. Marriage proposals and silver anniversaries will have to take place elsewhere: The legendary Rainbow Room grill is closing as of January 12. While the AP reports that the "bar, banquet space and the weekend dinner-dancing sessions" will be saved on the 65th floor, and the Ciprianis - who own the Rainbow Room as one of the jewels in their international restaurant empire -- are calling the close temporary and a strategic move to ultimately protect the venue, the idea of the current recession shutting down such a Manhattan icon is depressing in the extreme. After all, this is the restaurant that opened during the Great Depression, in 1934. This, and the rumor about Georgis. We're going to close the curtains and go back to bed now. Gawker has a Look Back at the Rainbow Room's Faded Romance.